SMITE is having its 2nd Birthday this week, celebrating a successful two years in the ever crowded and growing genre of MOBAs. SMITE has managed to step out of the shadows of DOTA 2 and League of Legends as one of the most popular alternatives to "the big two." We're big fans of the game thanks to its five dedicated co-op modes. The Co-Opticrew dove in head first to PC version the other night, checking out some of the new Gods that have been added recently. The great thing about SMITE is you'll get access to all current gods, past, present and future by purchasing their Ultimate God Pack. And with a roster of 70 plus and growing there's plenty to choose from and enjoy. 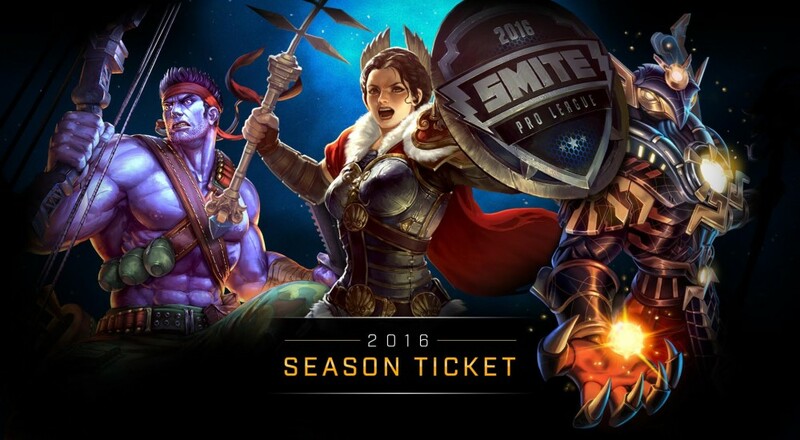 Along with the 2nd birthday, the SMITE folks are kicking of the 2016 Season with their Season ticket. This pass gets you exclusive skins, emotes, and other goodies as well as the ability to enter the fantasy tournament and vote for the winners of the big upcoming season. Playing in matches will then earn you extra favor towards further unlocks as the season progresses. Update: Codes are all gone! Finally the PS4 version of SMITE is in open beta, so if you haven't had the chance to try the game on PC or Xbox One, you've got one other choice to dual it out between the gods.